I have another project to share today for Spiegelmom Scraps and it's this love themed layout with lots of little shaker pockets! 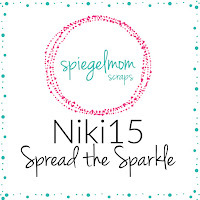 I've used one of the free cut files from the Spiegelmom Scraps store called All My Heart and the Hex-a Love Sequins. I've also used some of the Rustic Hearts wood veneer shapes. I cut the cut file from patterned paper, big enough to be a background. I then made shaker pockets with all of the open hearts and filled those shakers with the Rustic Hearts wood shapes and the gorgeous Hex-a-Love Sequins. Once I had spent a loooooooong time creating the 9 shakers, I then built the rest of my layout on top of the cut file background. I kept the rest of the layout fairly simple because the background for this one was the main focus point and I didn't want to detract from that, or cover it all over. I used Crate Paper LaLaLove for this layout and a piece of white cardstock for the background. There's a process video for this layout which can be viewed below. 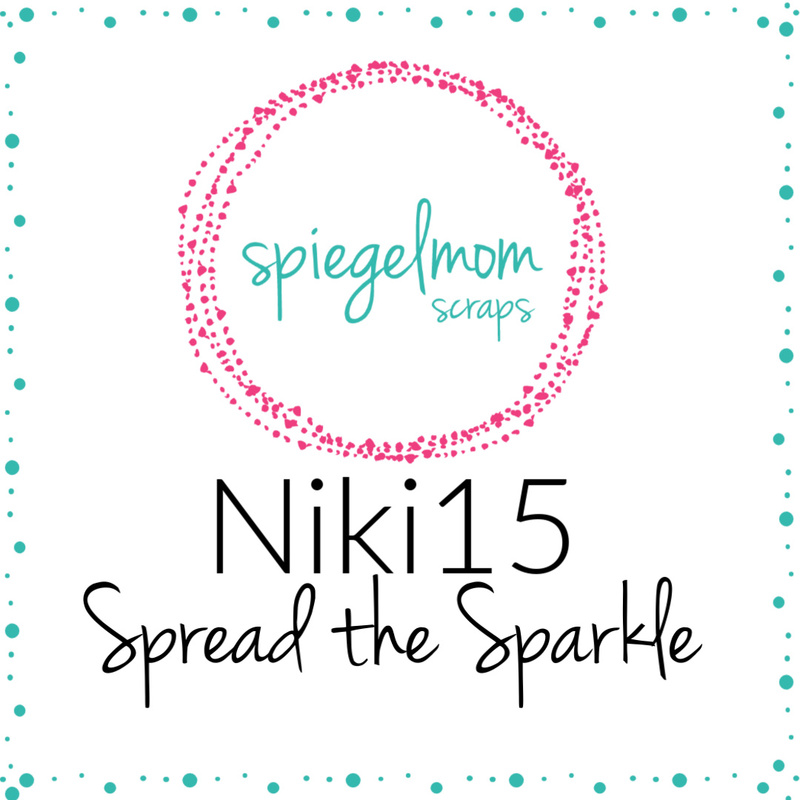 If you place an order via the Spiegelmom Scraps website then use 'Niki15' to get 15% off your order!